Jax Beach Baseball Association is excited to host the 2017 9U North Florida State Championship Tournament. The document below will be updated regularly as the tournament progresses through days of play. The Manager’s Tournament Information Package (MTIP) has been added below. This document contains much of the detailed information that your Manager and team need to know regarding the 9U State tournament. Please review it carefully. If you still have questions, please feel free to reach out to the contacts above. The MANDATORY coaches meeting will be on Wednesday, July 5th, at 7pm. *Be sure to mention 9U Cal Ripken State Tournament to get group rates. 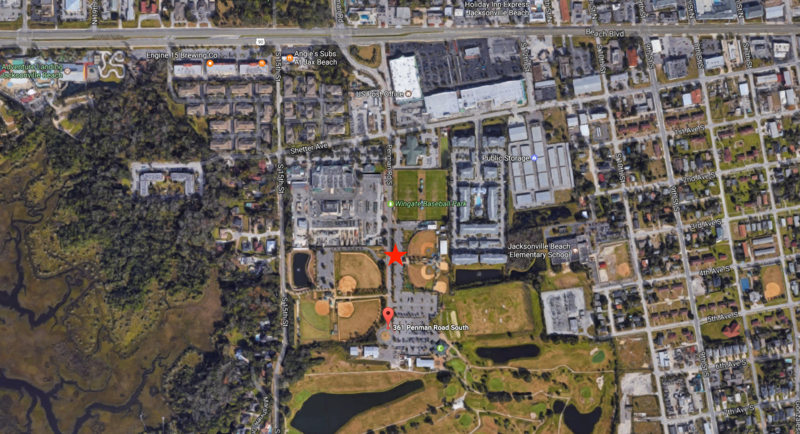 JBBA is located at Wingate Park in Jacksonville Beach, FL. Approximately 2 blocks south of Beach Blvd. on Penman Rd. Our fields will be located on the east side of Penman Rd.